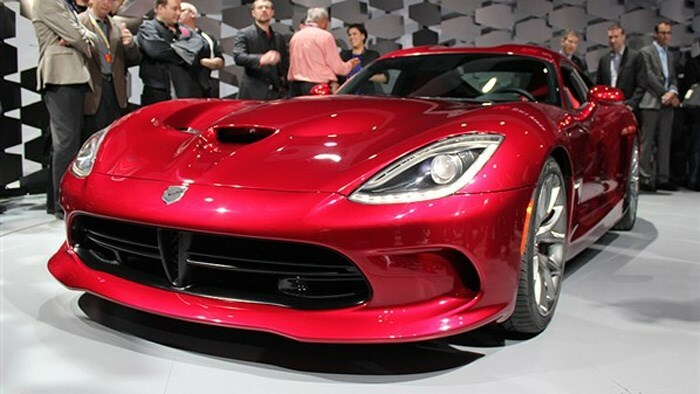 Chrysler's high performance SRT brand has unveiled an all-new Viper supercar at the 2012 New York Motor Show. Powered by an 8.4-litre V10 producing 470kW and 814Nm of torque, the SRT Viper is an American legend reborn. You can clearly see the resemblance to previous Vipers - but the new car is harder, sharper and lighter, too, with carbon fibre body panels and an all-new structure. SRT hasn't yet revealed any official performance figures, but has said the new Viper will now hit top speed at the peak of sixth gear. This suggests a refreshing distain for fuel economy in the pursuit of outright performance. New toys include launch control for consistent 0-100km/h times, two-stage adjustable damping and four-stage ESP. SRT has even gone so far as to specify different rubber compounds for the enormous front and rear tyres. Finally, at the end of the press conference, SRT surprised everyone by driving a racing version of the Viper on to the stage. A hugely successful racing car in the past, the new Viper is taking up the challenge again in the 2012 American Le Mans series.